It’s time for ‘Japan by Prefecture‘ again! This is the series that aims to provide the highlights of each prefecture of Japan, along with my personal favourites and suggestions from readers. This week, we’re looking at Shimane (島根県). Shimane Prefecture is part of the Chugoku Region (中国地方) and the capital is Matsue (松江市). Unfortunately I’ve not been to Shimane Prefecture yet, but for a number of reasons it is very much on my list of places to go! Thanks to Japan Australia, Zooming Japan and Uncovering Japan for contributing to this week’s post with lots of great ideas! Shimane Prefecture’s number one place to visit is Izumo Taisha (出雲大社), Japan’s second most important shrine after Ise Jingu (伊勢神宮) in Mie Prefecture. This shrine, located in Izumo City (出雲市), is also one of Japan’s oldest shrines, probably dating back to the early 700s if not before. Okuninushi no Okami, the creator of Japan and ruler of Izumo (according to Japan’s creation myths) is enshrined at Izumo Taisha, making it a very special shrine indeed. When visitors come to pray at the shrine they clap four times instead of the usual two times – twice for themselves and twice for their actual or desired partners. 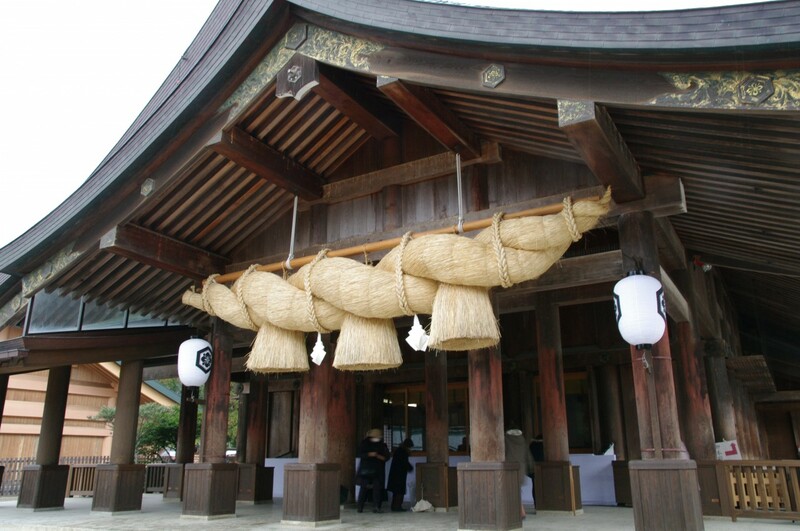 Izumo Taisha is also the place where all the gods gather once a year – I think of it as a sort of Glastonbury Festival. From the 10th to the 17th day of the 10th lunar month (usually November), eight million deities from across Japan gather for a meeting . The Kamiari Festival is held at the shrine during this period. Matsue (松江) is somewhere that is quite high on my list of places to visit in Japan, mainly for the Adachi Museum of Art (足立美術館). The museum was founded in 1980 by Adachi Zenko, who was seeking a way to combine his passions for Japanese art and garden design. 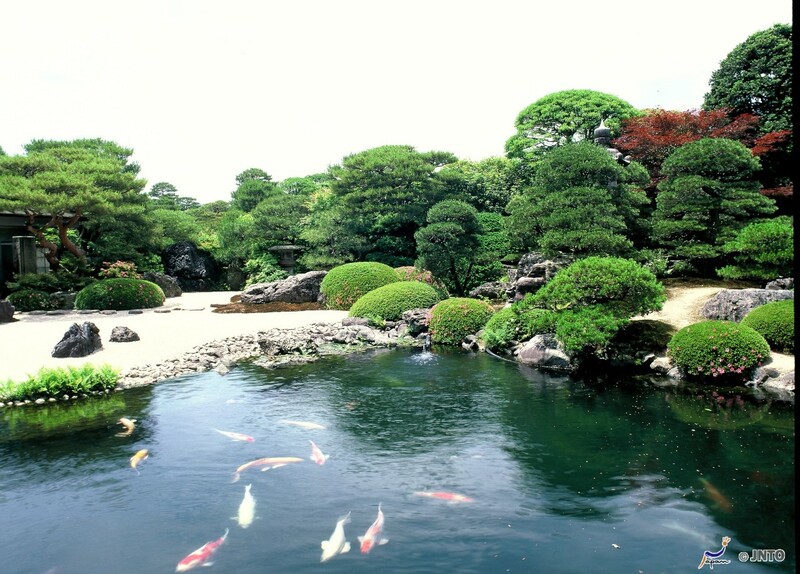 The museum is best known for its garden, which is definitely up there among Japan’s top gardens. Also in Matsue there is Matsue Castle (松江城), one of Japan’s few remaining original castles. This castle was completed in 1611, and underwent major renovation works in the 1950s, and it looks absolutely splendid! Matsue is also home to a former samurai district with preserved buildings, which would be sure to interest any history buff. 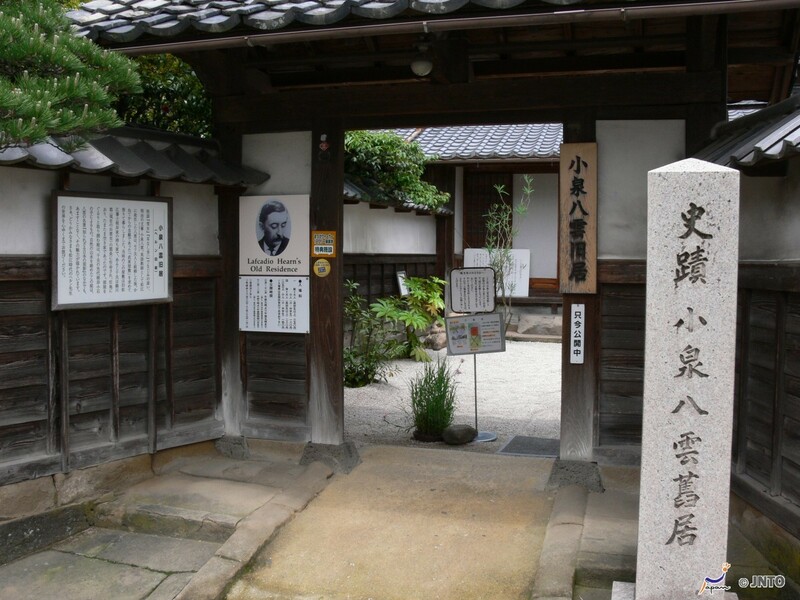 Also in the area is the former residence of one of the first authors on Japanese culture, Lafcadio Hearn, who lived in Matsue for about a year. As well as being able to visit his former residence, there is a museum next door which is dedicated to his life and work. In Japan, Hearn is known as ‘Koizumi Yakumo’. Tsuwano (津和野), a castle town in Shimane Prefecture, also looks like a really nice town to visit. Tsuwano’s castle is now just ruins, but it is possible to visit this area and look down on to the town centre from a height of about 200 metres. At the centre of the town there are more preserved samurai buildings, like in Matsue, which gives the town an atmosphere of days gone by. 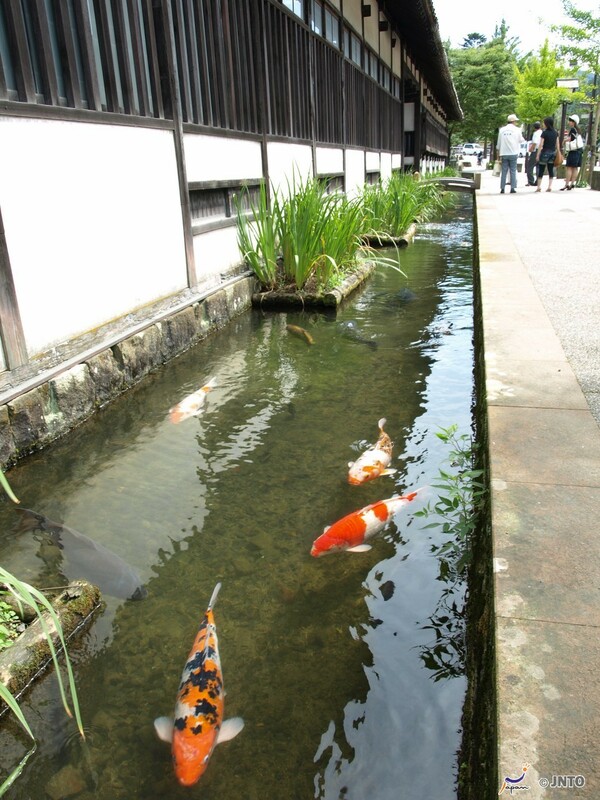 One of the unique features of Tsuwano are the street-side waterways filled with lots of swimming koi carp. The carp were first kept in the waterways built for irrigation and fire prevention as emergency provisions in case of famine, in the period from the 17th century to the 19th century. Oda City (大田市) in Shimane Prefecture is home to Iwami Ginzan (石見銀山), which was the most prominent silver mine in Japan. it was discovered in the early 16th century and was mined for nearly 400 years. Today the area is a World Heritage Site. 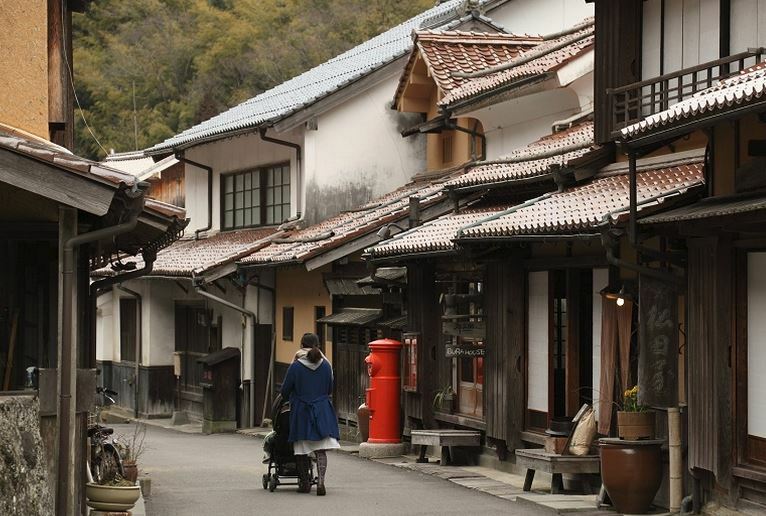 As well as the mine and some temples and shrines, Omori Town (Omori-cho), a stretch of houses and shops that runs along the river to the north of the mines, is also worth visiting. This area has been selected as an important traditional building preservation area. Last, and by no means least: the Oki Islands (隠岐諸島)! The Oki Islands is an archipelago in the Sea of Japan, which are administratively part of Oki District (隠岐郡) in Shimane Prefecture. Only four of the sixteen named islands that make up the Oki Islands are permanently inhabited: Dogo (島後島), Nakanoshima (中之島), Nishinoshima (西ノ島) and Chiburijima (知夫里島). The total population is about 24,500 inhabitants. Although there are only 16 named islands, there are about 180 islands which make up this beautiful island group. 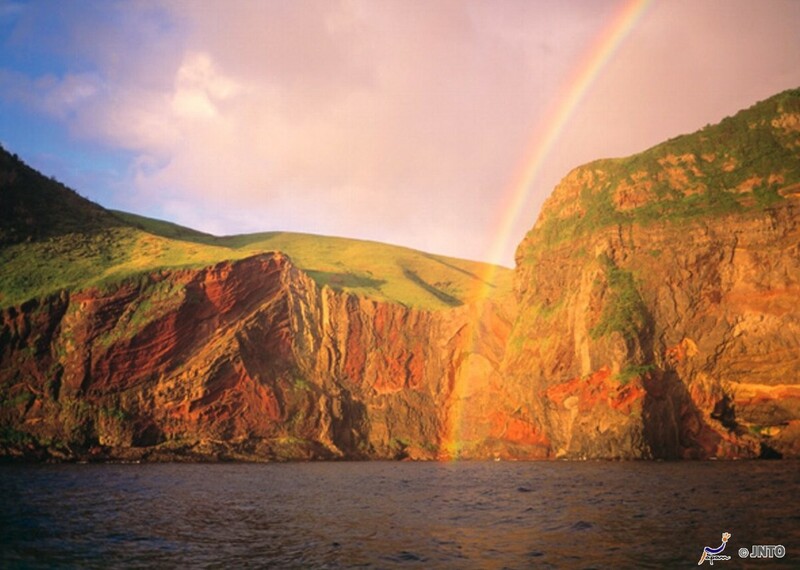 In September 2014 the Oki Islands were designated a geopark within the UNESCO-assisted Global Geoparks Network. The Oki Islands are not well known when it comes to tourism, but they seem like the perfect place to relax and have a holiday! On the islands it’s possible to hike and try all sorts of adventure sports such as mountain climbing, diving and sea kayaking, and for those that prefer to sit back and take in the view there are plenty of quiet spots for that too. In general, I don’t think too many tourists get to this area of western Japan, but I do think Shimane Prefecture (and other prefectures nearby) have a lot to offer those seeking ‘real’ Japan. 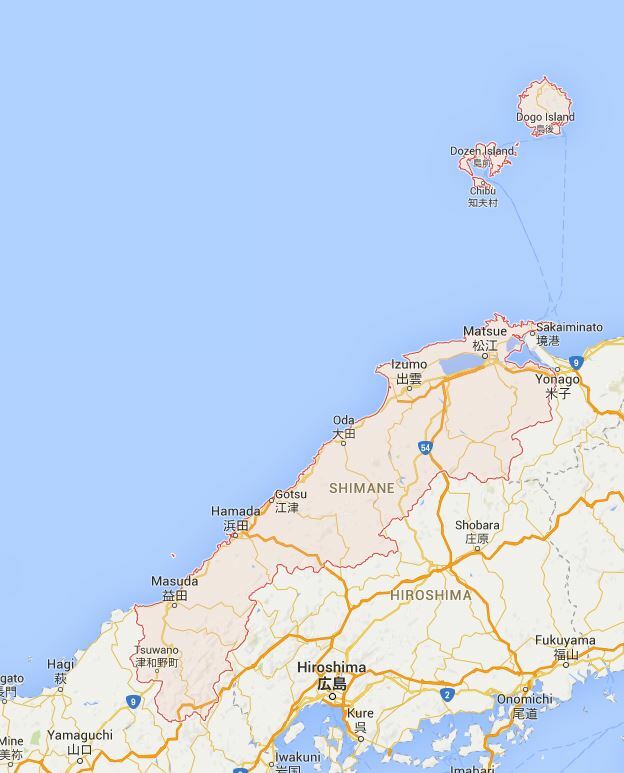 I know I shall certainly be adding Shimane Prefecture to my list for a future trip! Shimane Prefecture is possibly the least well known prefecture, and I’m not sure if it really has any famous souvenirs (or ‘omiyage’ / おみやげ). 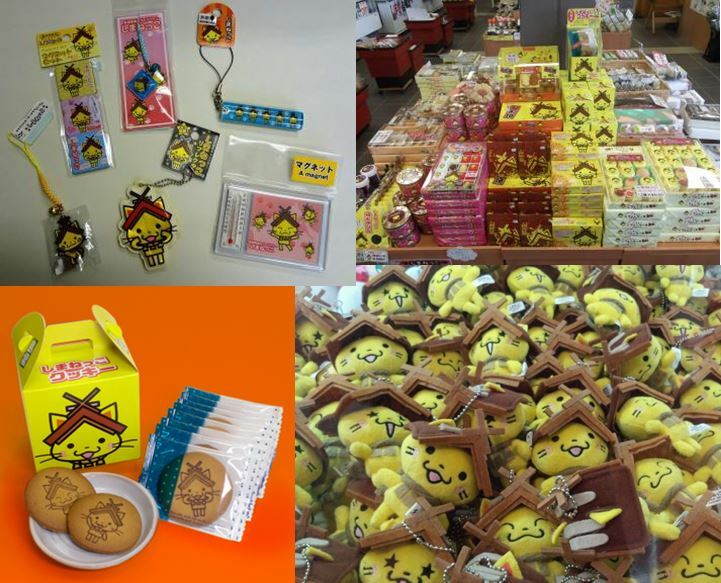 However, the prefecture has a cool mascot called Shimanekko (しまねっこ), which is a yellow cat with a shrine hat, and he can be found on some souvenir items. Next week I will be writing about Okayama (岡山県). Have you been there? What’s good to eat there and what omiyage should I buy? What are the best sightseeing spots or hidden gems? Please do share your thoughts below, and join me next week for Japan by Prefecture! Ah, I’ve just realised you probably meant Bitchu Matsuyama Castle, didn’t you? Earlier this year Matsue Castle was designated a National Treasure. 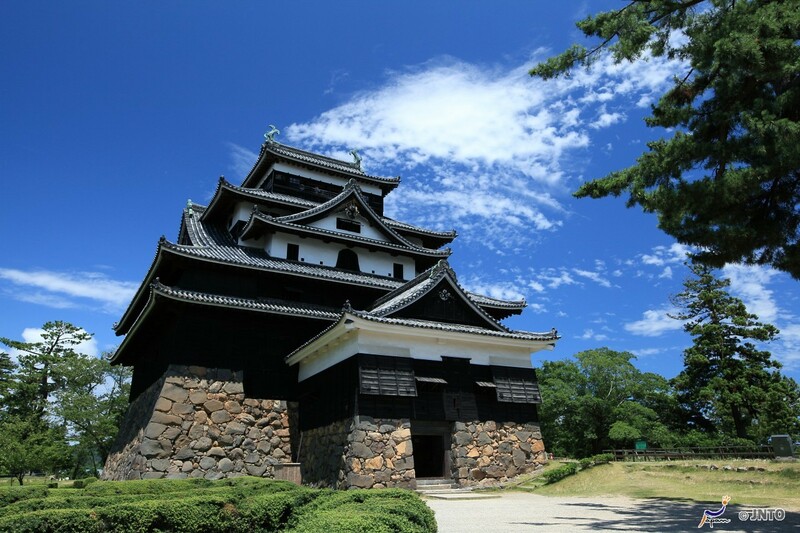 It is the 5th castle to be designated a National Treasure after Inuyama, Himeji, Hikone and Matsumoto Castles. A short run NE is Osafune with its centre for Japanese sword-making. On weekends, they stage a beating demonstration but, during the week, you may meet craftsmen polishing scabbards (40 coats) or cutting tsuba (handle guards) or cutting skins for the handle interior. Just a little walk up the road is Token museum with its tsuba collection. On a good day, the proprietor may bring put some of his sword collection for private display. While in Kurashiki, the Bikan district is essential visiting and, again, best on weekends with the bustle of stallholders. For the enthusiast, a visit to Kibitsu shrine and, again, a short walk North will take you to a rare feature, a memorial to the animals slaughtered for meat, with a huge mound of plastic ear tags. Very interesting! Thanks for your comments, Rosco! Shimane is high on my places-to-go list, too! Coincidentally, just yesterday I was reading about Omori. Love those koi in the waterway! Looks like a beautiful prefecture! What a coincidence! It does look lovely, doesn’t it? Thanks for this post. I’m visiting Shimane in 6 weeks time so will definitely fit in as many of these places as possible. As for Okayama-ken, Bizen is famous for its pottery and several kilns are open for visitors. Also, the Seto Ohashi road & rail bridge between Okayama-ken and Shikoku has some amazing views over the Inland Sea and its islands. Finally, barazushi is the Okayama style of sushi which includes vegetables as well as seafood. I’m glad I could help! I’d love to hear about your trip to Shimane – hope you have a great time! In Wake is one of the classier onsen: at its best in winter.